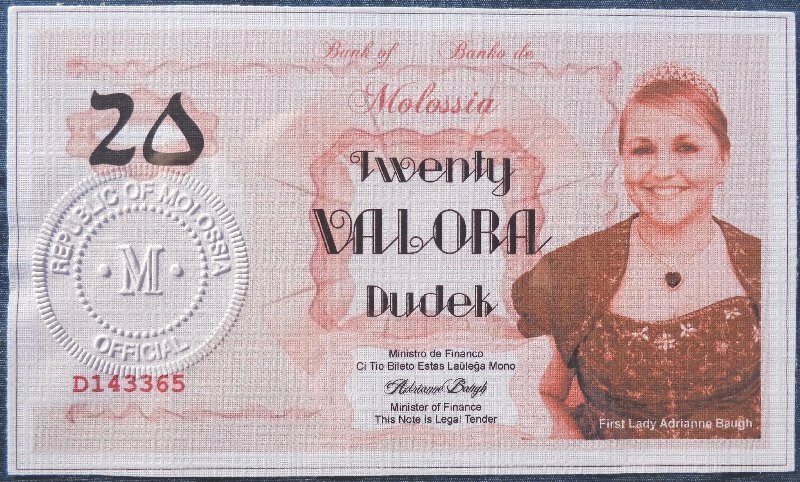 On 26 November 2012 XXXV, the Bank of Molossia issued its first new series of Molossian banknotes since 2003. 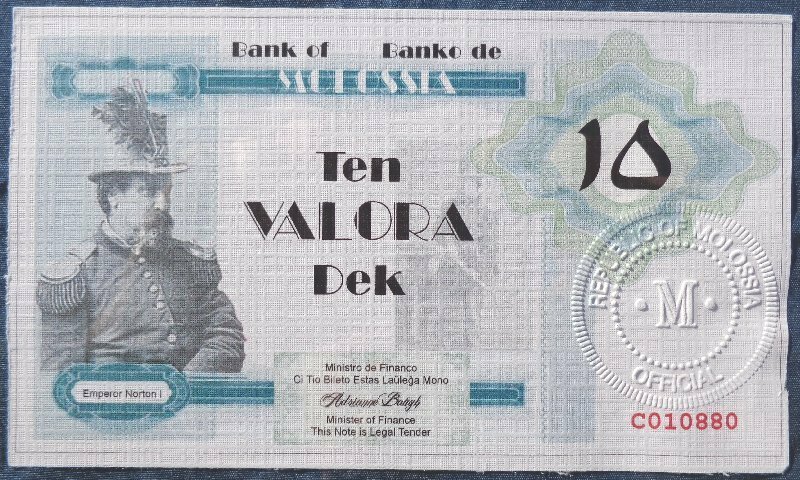 This latest issue updates the older, simpler designs of the past with new graphics and guilloche designs, typical of currencies around the world. 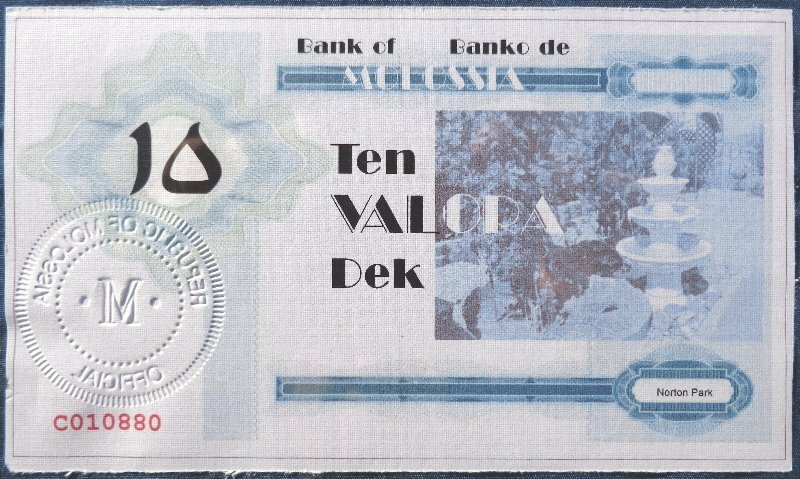 The money is still printed on our customary linen paper, but now features the official Molossian raised stamp as a security device. 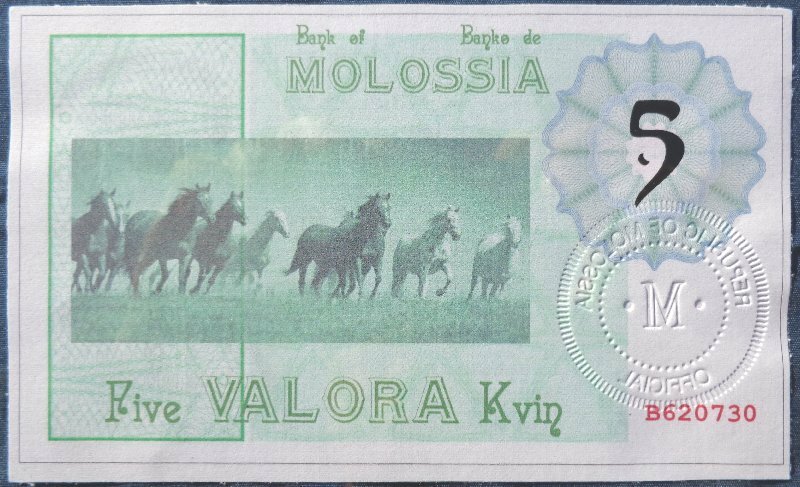 As this stamp only exists in Molossia, the absence of it should prevent unauthorized reproduction of Molossian currency. 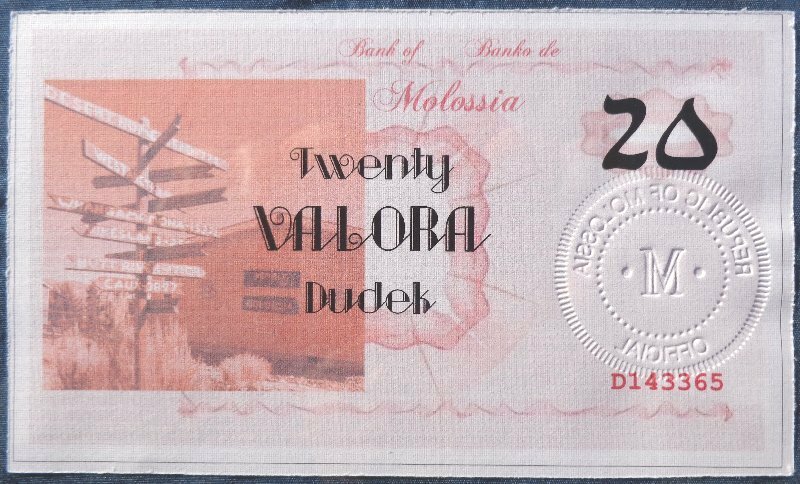 The Bank of Molossia will offer the new bills for sale to collectors and others at face value based on the cookie dough exchange rate. 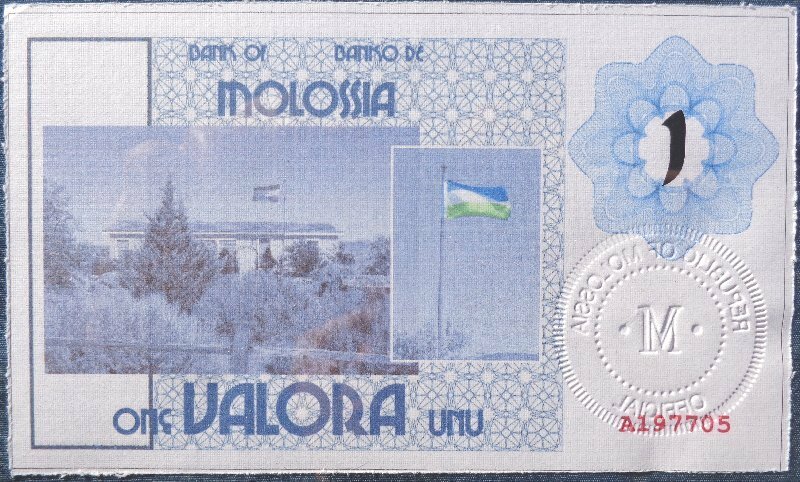 Currently one Valora exchanges at the rate of USD $.75. 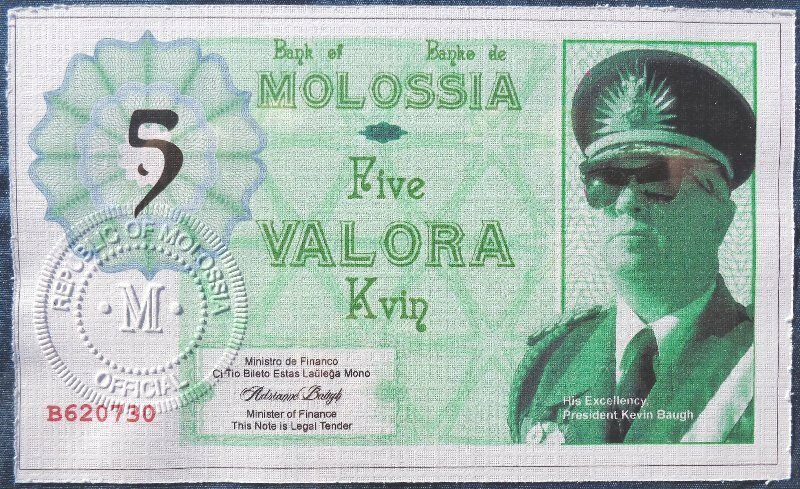 A complete set of the new notes will cost USD $27.00. We are very proud of our new banknotes and look forward to them serving our nation well for many years to come. 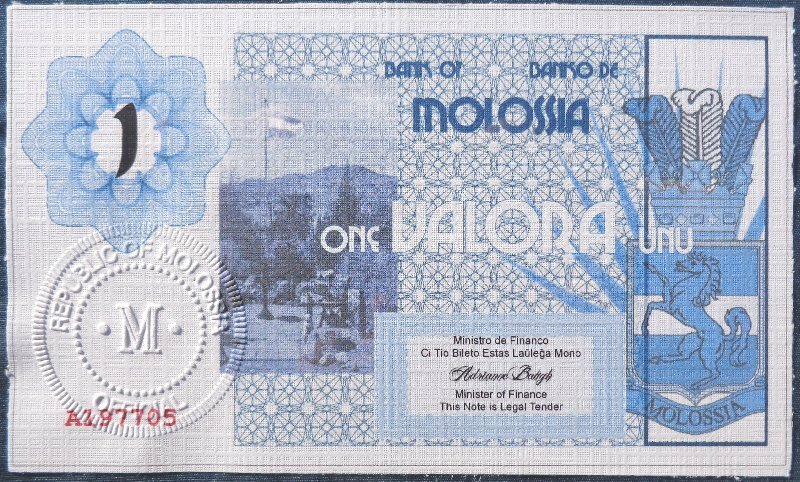 The Bank of Molossia webpage is located here.